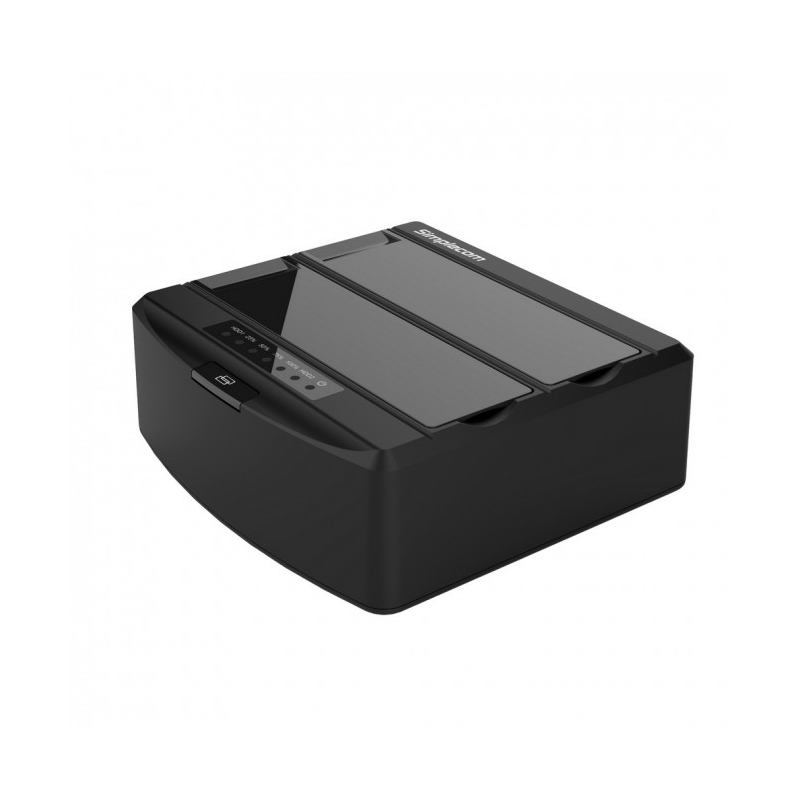 The Simplecom SD312 is a low profile SATA Docking Station, which supports direct insertion of two 2.5" or 3.5" SATA drives. It provides a simple, fast, and cost effective solution for data recovery, drive imaging, and testing centers, or any environment that requires fast access to uninstalled/archived SATA drives. With USB 3.0 interface, you can take advantage of super speed data transfer rate up to 5Gbps. Connecting to your computer through an available USB 3.0 port on desktop or laptop, ready for Plug and Play/Hot Swap and no additional driver is needed. With offline cloning technology, SD312 can copy your files from one disk to another without a computer connected.